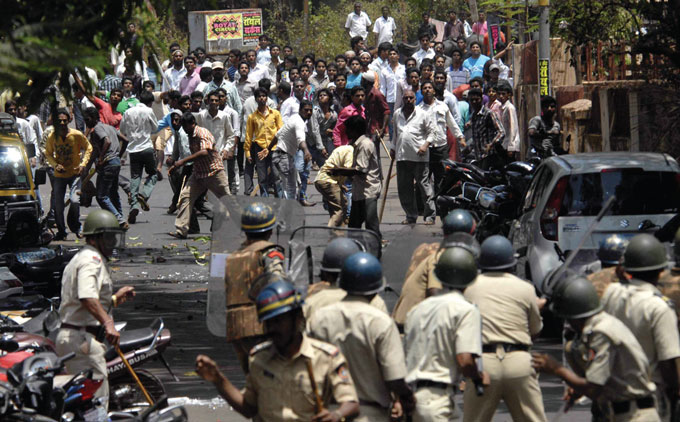 Opposition to the proposed six-reactor Jaitapur nuclear power complex at Maharashtra on India’s west coast reached new heights April 18 when police opened fire on more than 100 protesters, killing one – Tabrez Sohekar – and wounding eight others. 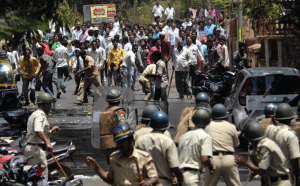 The protesters, including many members of Shiv Sena, the opposition political party in Maharashtra state, tried to halt early construction at the site when the conflict turned deadly. Two days before, more than 50,000 people had rallied in opposition. Sohekar’s family continued the protest, refusing to claim his remains until the Maharashtra government dumps the nuke project. About fifty local opponents have been jailed in previous weeks, prosecuted for their role in demonstrations last October and December. Some were released April 26, while most remain in custody. Police are regularly tapping organizers’ cell phones to disrupt the organized opposition. Police used various legal and coercive tactics to prevent a planned three-day yatra protest march April 23-25 from the Tarapur nuclear power plant to the Jaitapur reactor site, arresting 134 people who came from all around the country as they set off on foot. Released that night, the walkers boarded two buses, but their drivers were intimidated by authorities and took them only part-way. Nineteen of the group were again jailed. On April 26, the 25th anniversary of Chernobyl, the Indian government prominently affirmed its plan to go ahead with the Jaitapur project.